Protecting human rights by providing equal access to legal information and justice, and strengthening legal opportunities and the legal empowerment of vulnerable groups and local communities. 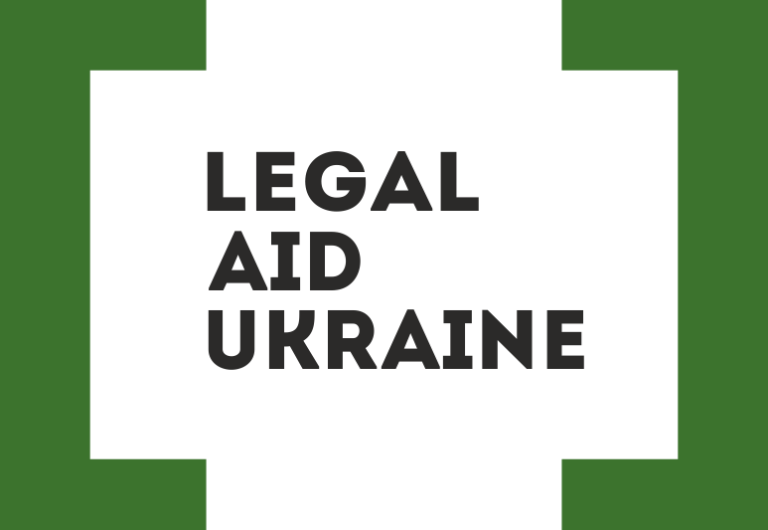 People across Ukraine employ legal tools to address their day-to-day life challenges and enjoy equal access to justice. A network of independent legal aid providers meets people’s legal needs. Local communities and the state recognise the importance and necessity of legal aid as a social guarantee, and provide sustainable funding for legal aid from national and local budgets. Our work is grounded in a fundamental respect for human dignity and a commitment to create an environment where people have equal access to law and justice irrespective of their financial situation or level of social vulnerability. We work in a team built on the principles of mutual respect and responsibility. We act with integrity, are client-centered, and strive to treat everyone equally. We believe that peoples’ quality of life is directly dependent upon how well individuals know their rights, and subsequently desire and are able to exercise these rights. We offer people tools to address their real-life situations by legal means as a way of countering the corruption that is embedded across today’s society. We value the trust that our clients and partners place in us. People seek advice and help from those they trust. Public trust is a necessary condition for the development of the legal aid system. The quality of services we offer depends upon the mutual trust that lies at the core of our partnership with communities, lawyers, civil society organizations and donors. We are open to cooperation with all stakeholders and actively seek to develop partnership, in particular, at the level of local communities. As a taxpayer-funded organisation, we are accountable to the public for everything we do. We welcome external independent evaluation of our work. We regularly publish updates on all our events and expenses, in particular, information about the salary of all our employees, the distribution of cases among lawyers and their fees, statistical data on our performance and auditors’ reports. We hold open staffing competitions. We support the PROZORRO electronic public procurement system. We started using it for all procurements exceeding UAH 3,000 four months prior to the requirement prescribed in legislation. We are an independent element of the justice system. The Ministry of Justice does not interfere with our operations. The decision to provide legal aid is made in accordance with the law without political or other influence. We do not interfere with the activities of lawyers, and we respect their professional independence. As a means of guaranteeing of the quality of legal aid, we support open competition among legal aid providers. We promote the development of a network of independent providers of legal information and advice and encourage local self-governments to engage civil society organisations to provide such services, in particular. We are committed to continuous improvement in our work. We are sensitive to changes in our environment and quickly respond to them. We look for new and creative approaches to problem-solving. We strive to learn continuous through the sharing of experiences and best practices.